Knights Coach Walt Duffy gets the Knights together for a photo. They are, from left, Duffy, Katie McGagh, Cade Morrell, Dutch Byerly, George Masterson, Mathew Morrell, Alexander Hankins, Asher Zittrer with Noah Zittrer front and center. 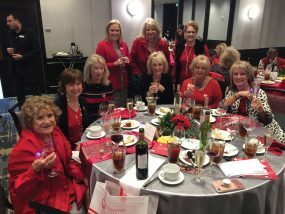 Lakewood Yacht Club Sailing Director Watt Duffy says the Clear Falls Knights Sailors got off to a great start this year. 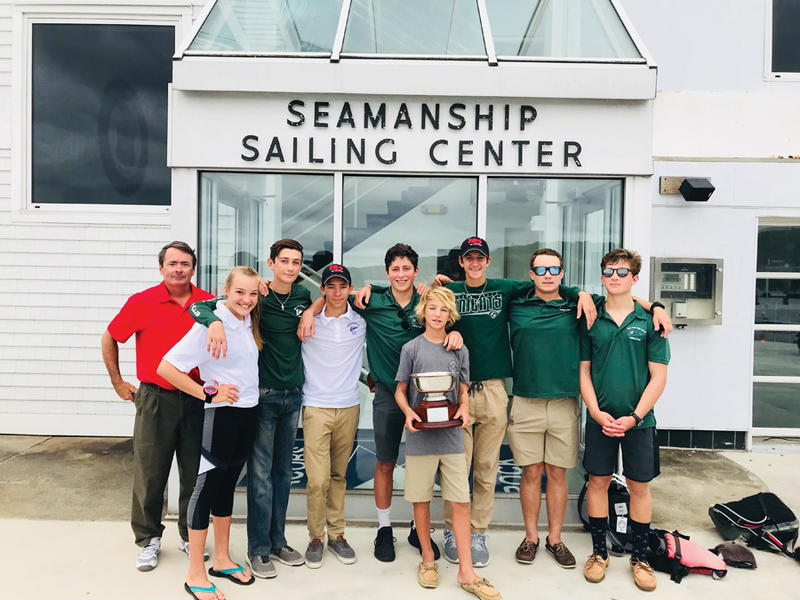 Eight Clear Falls High School sailors took part in a two-day regatta in New London, Conn., competing against 19 top high school teams from around the country to win the Lawrence A. White Trophy. Light shifty winds were the prevailing conditions that proved challenging to keep consistent results posted for most teams. The Clear Falls Knights accepted the conditions and emerged the leaders in both A and B divisions after race no. 2 and maintained that lead throughout day one. This was the first time the Knights competed in this prestigious regatta. The Knights plan to attend more regattas than ever this year in preparation to regain the title. They will compete at College of Charleston, S.C., and the U.S. Maritime Academy in Kings Point, N.Y.